The author Linlee Jordan uses the term Challenging Children because it implies that the child has positive attributes just waiting to be accessed, rather than seeing the child as a checklist of negative behaviours leading to a diagnosis. Rather than giving lengthy explanations of each diagnosis, the book is involved with the problems which affect the family: the kicking, screaming, night waking or “I hate myself.” In the words of Dr. Isaac Golden “It is an outcomes book and clearly shows parents and others what is possible in difficult and sometimes desperate situations.” Parents will get the best outcome from treatment if they have an understanding of the stages of treatment and their expectations are based on real cases. The book is clearly laid out for mums and dads who have limited reading time and is delightfully illustrated with kids drawings. There are a lot of jumping off points and the book can be started at the section on Tantrums or Poor Concentration. Parents can also quickly locate a homeopath in their area using the directory at the back of the book. Parents and teachers will enjoy the book as an introduction, however practitioners will read about the different methodologies successfully employed around Australia with great interest - split dose, 50 millesimals and descending potencies. Linlee writes with a background as a Registered Nurse, a Masters Degree in Health Science Education and Diplomas in Homeopathy and Nutrition. She was lecturer for Homeopathic Clinical Studies and Head of Homeopathy at Nature Care College in Sydney for 10 years and is now Director of the Aurum Project for homeopathic research. Her articles have been published in many journals and magazines. Challenging Children: Success with homeopathy, received a Special Mention in the 2007 NSW Writers Centre Book Prize Competition and has been widely appreciated by the homeopathic community. An important function of the book is to showcase the work of homeopaths around Australia and interesting cases are included from homeopaths in Brisbane, Cairns, Canberra, Hobart, Melbourne, Perth, South Australia and Sydney. Linlee encourages this national perspective because it promotes an understanding of the widespread acceptance of homeopathy. The book was written with the creative direction of Linda Beaver who has taught and published widely. Linda and Linlee first collaborated in 1998 to present Paediatric Seminars in New South Wales and West Australia. Linda has collaborated more recently with Linlee on a number of writing projects culminating in Challenging Children: Success with Homeopathy. Linda practices in Sydney’s inner west and as an educator in homeopathy she particularly enjoys supervising individual students in their clinical training and mentoring developing writers of homeopathy articles. 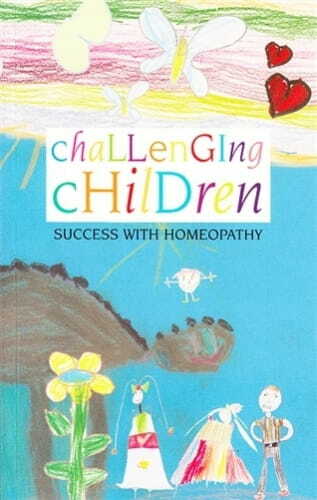 The title 'Challenging Children - Success with Homeopathy' will catch the eye of both parent / carer and homeopath alike. Many children do not fall into any category and, by labelling them with a 'condition', they easily become marginalised. The very word 'challenging' implies potential which is just waiting to be tapped, and the Australian author, Linlee Jordan, definitely adopts a very supportive approach to these cases. According to the publisher, around 11% of Australian children between six and 17 years of age are diagnosed with ADHD - an astonishing fact to most parents. In the search for answers, this book is a drug-free guide to treatment and offers hope and inspiration to everyone working and living with these children. This statistic probably translates into the greater developed world, so the subject matter should be of interest to parents and carers far beyond. Although the text is ostensibly written for the latter readership, it is also of interest to homeopaths to learn how Linlee sets out to explain the 'process', the very word 'process' being the operative word here. The text is based on the work of homeopaths around Australia and promotes their different styles of practice. This means that the last 34 pages of the book are dedicated to profiling these different practitioners with a brief out-line of their individual work. Linlee is eminently qualified to write such a text coming from a background of nursing with a Masters degree in Health and Education and a diploma in Homeopathy and Nutrition. She also set up the Aurum Project which is dedicated to research into behavioural issues in children. (The project supports families to use homeopathy, not only for these issues, but also for any acute ailments the children may suffer.) Linlee was head of homeopathy at the Nature Care College in Sydney for ten years. Her articles have been published in many journals and magazines. The book received a special mention in the 2007 New South Wales Writers' Centre Book Prize Competition and has been widely appreciated by the homeopathic community in Australia. The book was written with the creative direction of Linda Beaver who has also taught and published widely. Sensitivity is shown by the author's recommendation that the homeopath meet initially alone with the parent. This enables the homeopath to be familiarised with the case before encountering the child. At the same time, this protects the child's vulnerability. "There have been two great revelations in my life: the first was bebop and the second was homeopathy (attributed to Dizzy Gillespie -great jazz musician)". The emphasis is mostly on issues which afflict the family, such as temper outbursts on the emotional level and sleep disturbances on the more physical one; the two being very interconnected. The style appeals to those who cannot commit much of their time to reading, which is often the case when parenting or caring for these children. There are many reference points so - even though this is a compact book - it can be dipped in and out of according to need. The type of physical ailments that 'challenging children' present (in addition to sleep disturbances) are covered as well as emotional ones such as allergies and bedwetting. There is a wonderful description of vaccinosis and how this is addressed. The references cover a broad range and are quite impressive. This is not a textbook to teach remedy selection - it is an outcomes book which clearly shows parents and others what is possible in different and sometimes desperate situations. In fact, the mention of remedies is almost redundant as, in many instances, little explanation is given to highlight on what basis they were chosen in each case. This could be confusing and leave the targeted readership in the dark as to the rationale in the particular case. This criticism apart, I can only say this book 'packs a punch'. It fills a very gaping hole by spreading the word to a waiting captive audience.